The Relay For Life logo features the shape of a crescent moon and the rays of the sun accentuated by a single star to the left of the moon all in a shade of deep purple. Also included in the symbol is the American Cancer Society logo, which features the organization's name and sword image. The symbol's main purpose is to remind cancer patients and their loved ones of the victories made in the fight to cure cancer as well the progress still needed. Although the first Relay For Life event began in 1985, the logo wasn't created until 1993, according to a representative from the Relay For Life website. In 2002 the symbol underwent some minor changes and now includes the more prominent display of the American Cancer Society logo in the bottom right corner. When one sees the Relay For Life symbol, he or she is reminded that there is no reprieve for those fighting cancer, as well as their loved ones. One of the main catchphrases for the relay is "Cancer never sleeps." The sun, moon, and star represent the concept of day and night in terms of the length of the event and the struggles faced by cancer patients. These graphics also speak to the countless hours spent by researchers and medical professionals working toward treating and curing the disease. In the beginning, the deep purple color represented something new and fresh as no other major event was using it in their theme. This color is now a widely recognized symbol for cancer awareness. According to psychologists, purple can have both calming and uplifting effects while darker shades represent sadness. So, it makes sense why logo creators would have been drawn to this color to represent hope, sadness, and comfort at the same time. If you are putting together a Relay For Life in your community, you are probably working hard at getting sponsors and organizing the actual event itself. However, in an effort to look more "official" many well-intentioned individuals violate the terms of the American Cancer Society's logo usage. Race participants are not always authorized to include the Relay For Life logo on their fundraising materials and it's important to check the organization's trademark specifications before moving forward. Generally, a team can use the logo on their fundraising website as long as it is not displayed in a very prominent location and is not tied to any commercial endorsement. If you have any sort of profit to make, including unique promotional items, the Relay For Life symbol cannot be included on the items sold. Wording and image placement are subject to very specific rules and regulations, including color choice and logo placement. Sun, moon, and star must be purple while American Cancer Society logo includes blue and red. When these colors aren't possible, use black and purple or all black. Leave clear space on all sides of the logo. Part of the reason there are such strict guidelines regarding use of the symbol is because it is now considered a marketing tool for the Relay For Life brand thanks to the success of these local events. Just as any other large brand does, the American Cancer Society wants to ensure the logo is used consistently and properly so a specific meaning is associated with it. 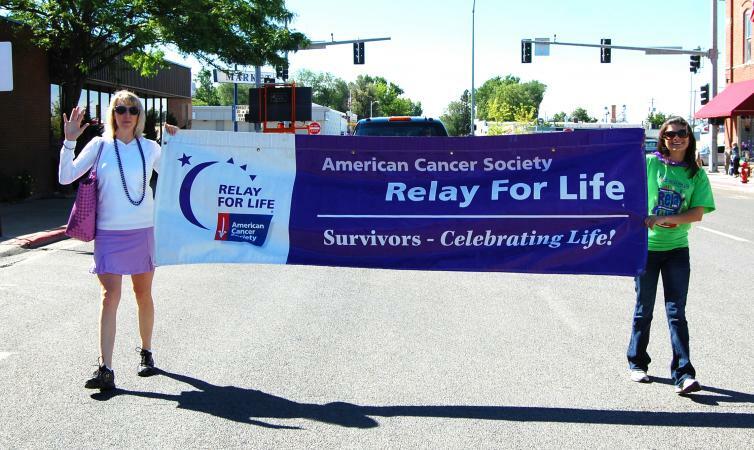 Identifiable logos like the Relay For Life symbol give legitimacy and meaning to each local event. The images within the symbol represent compassion and hope for those affected by cancer diagnoses.